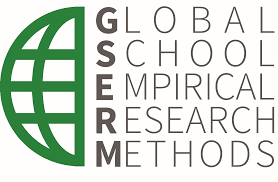 The ICPSR Summer Program is pleased to announce its cooperation with the Global School in Empirical Research Methods (GSERM) at the University of St. Gallen, Switzerland. Both the ICPSR Summer Program and GSERM share a common goal: To provide the methodological skills and instruction that facilitate high-caliber research and analysis on critical problems, events, and behaviors. The cooperation between the two programs is evidence of the important role that methodological training plays in social science research, teaching, and practice around the world.